Johanne Helbo Bøndergaard was visiting researcher at the FMSP during the summer semester 2014. She holds a Ph.D. from the Department of Aesthetics and Communication at Aarhus University as well as an MA in Comparative Literature from Aarhus University. Johanne Helbo Bøndergaard is editor and treasurer of the peer reviewed Danish literary journal Passage. 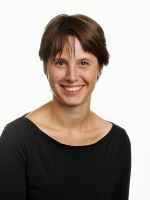 Her research interests include memory studies, narratology and fictionality studies, literature’s relationship to law and to human rights, literature and science, and photography in literature.